The life of a seven-year-old boy, Femi Metofik, you have reached a tragic end after being allegedly tortured to death by his stepmother, Oluwabunmi Metofik, who accused him of eating her food without her consent. Femi lived with Oluwabunmi and her three children in the Simawa area of ​​Ogun State, while his father is a pastor in Ibadan, Oyo State. The woman reportedly punished Femi for the act, inflicting injuries on his head and leg with a sharp object. Saturday PUNCH learned that Oluwabunmi rushed the boy to a private hospital in the community on June 4, when he went into a coma but he was rejected. The woman was said to have taken him to the health center in the community which referred him to Olabisi Onabanjo University Teaching Hospital, where he was confirmed dead. It was learned that a Good Samaritan, who saw the boy at the health center, was worried about the injuries and alerted to vigilance group in the neighborhood. The group was said to have started to search for the woman and her husband, who were then arrested on Wednesday and left over to the police at the Ogijo division. "A Good Samaritan told us on Monday that a woman brought a boy to the hospital with lacerations on his head and that the boy had lost a lot of blood We later knew that he took the boy to OOUTH where he died. the community, we located her house on Wednesday We were outside for about 30 minutes; they were not open the door for us We brought her and her husband to our office, "one of the watchers, who gave his name only to Denis , told our correspondent. 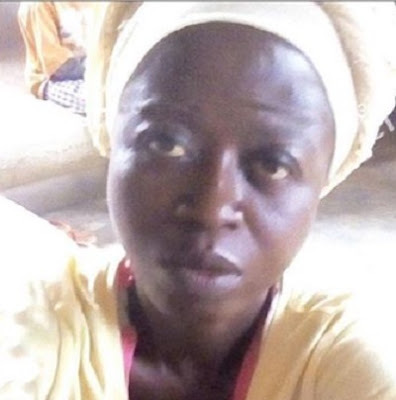 A community leader, Toyin Oladoyin, said the woman confessed that she was responsible for the injuries, adding that the pastor was mounting pressure on the police to release his wife. He said, "She said she bought her food and kept it at home while she went to fetch water, according to her, by the time she returned, the boy had eaten part of the food. He admitted that he had befriended him on his head while he was beating him Her neighbours testified that she usually beat the boy Her eldest child also said she used a stick and knife to torture Femi. "We took her and her husband to the palace and later handed them over to the police." The husband is a pastor in Ibadan, He said his wife told him on the telephone on Monday that he had been sick and had been admitted to OOUTH. said by the time I got to the hospital, the boy had died and they decided to bury him at Ayepe Cemetery We asked for the receipt of the cemetery, they gave them for the burial, they said they did not collect it. he and the boy's mother had separated. I told the police that the boy died naturally and that the suspect should be released because she is pregnant. " The Police Public Relations Officer in Ogun State, ASP Abimbola Oyeyemi, said the police had invited the deceased's mother, adding that her statement would determine the next line of action. He said, "The case was reported to the police." The father of the deceased boy said his wife was not responsible for his death and that she should be released. sick and that the death was a coincidence I said the beating did not lead to death. "The mother of the deceased boy is in Oyo State." We are waiting for your arrival.